On 2 November 1980, The Cure played the final date of their tour across Western Europe, for the second time around that year. It was in Rotterdam at the Hal 4 Utopia. Not much is known about this gig. There is no recording circulating and, as far as I know, no pictures ever popped up somewhere. No other information to be found than a scan of the advert. But last December, Dutch online music magazine Muzine.nl published a ‘listening test’ with two members of the Dutch alternative rock band Spasmodique. They were being confronted with a couple of songs and were asked to give their comments. One song was The Cure’s Jumping Someone Else’s Train. Thanks to Hans for the link. 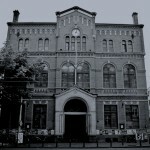 Little is known about The Cure’s performance at the legendary and most beautiful venue of the Netherlands: Paradiso in Amsterdam. 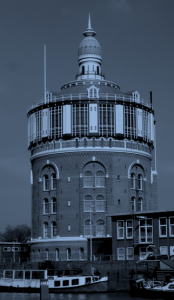 Of the many shows The Cure have done in Holland, they only have played one time at the Paradiso, which was on 23 May 1980. 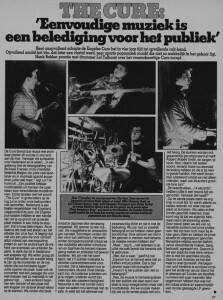 It was the fourth concert of their 6-date May tour across the Netherlands promoting the new album Seventeen Seconds (they would return a couple of times to Holland later that year). Support act on this tour were Fiction label mates The Passions. The entrance fee at the Paradiso that night was 10 guilders, which is about 4,5 euros. 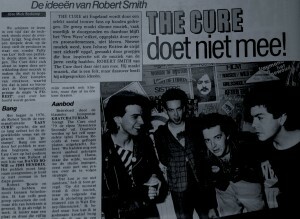 As far as I know there is no recording of The Cure at Paradiso. Also it is unknown what songs they played, although it’s probable that the set will be more or less similar to the next day in Arnhem.